In 1776, the Spaniards established a presidio, or military post, and a Franciscan mission on the end of the beautiful peninsula. 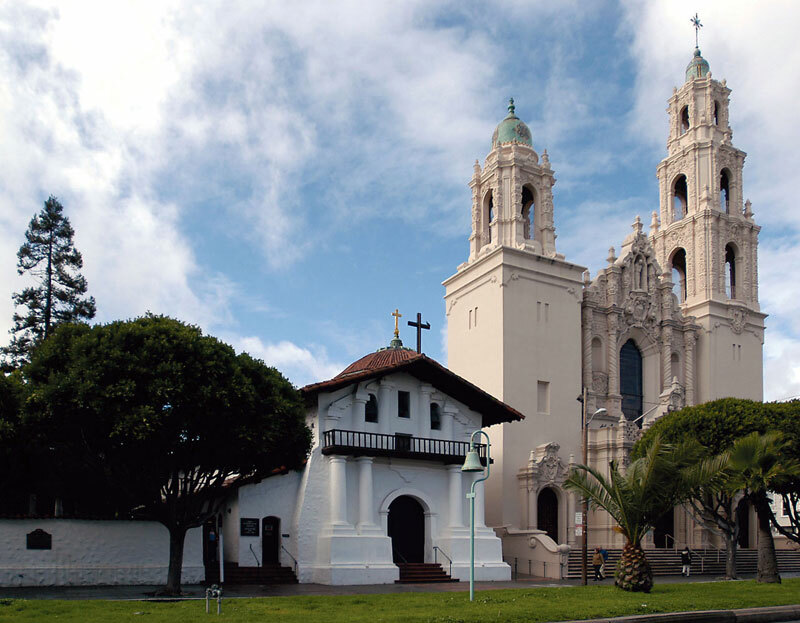 Mission San Francisco de Asis or Mission Dolores is the oldest surviving structure in San Francisco and the 7th mission as part of the California chain of missions. San Francisco is the 4th largest city in California. It is located in the northern part of the state between the Pacific Ocean and San Francisco Bay on a narrow arm of land that embraces San Francisco Bay, the largest landlocked harbors in the world. Mission Carmel or San Carlos Borromeo de Carmelo, is the 2nd mission built by Franciscan missionaries in Upper California. Founded by St. Junipero Serra, this mission is considered his favorite, and both he and Fr. Lasuen are buried here. 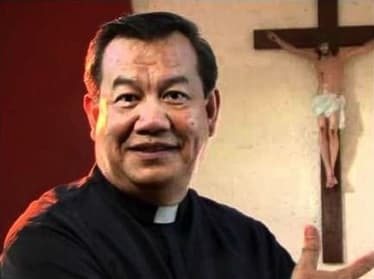 It served as the ecclesiastical capital of California and the headquarters of St. Junipero Serra for administrative duties as president of the missions. Set against the sea and mountains 115 miles south of San Francisco, this beautiful mission presents the complete quadrangle courtyard typical of mission architecture. The architecture is Moorish in design. It also has a beautiful garden. 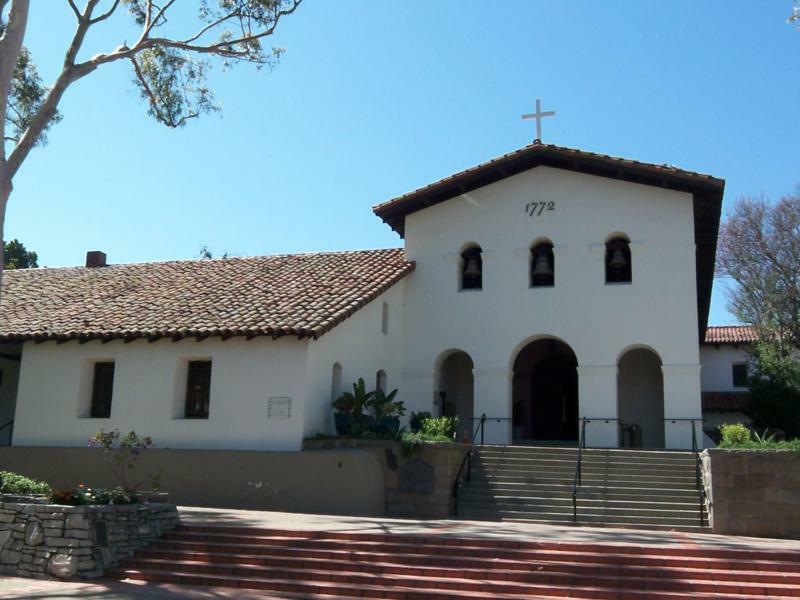 San Luis Obispo de Tolosa is the 5th mission founded in 1772 by St. Junipero Serra. It was the first mission to use tiles extensively on the roof due to repeated attacks by Indians who used flaming arrows to ignite the original thatched roof. Situated in the fertile, well-watered Valley of Bears, the mission produced an abundance of crops, and two water-powered grist mills processed food normally ground by hand. Now, its museum features a rare collection of early California photographs, authentic Serra relics and specimens of Chumash Indian craftsmanship. 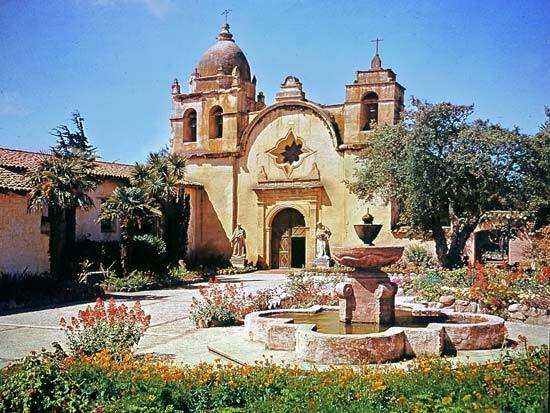 Founded in 1786, the 10th mission, Santa Barbara Mission is known as the “Queen of the Missions” for its graceful beauty. This was the first mission to be christened by Fr. Lasuen, and has continuously served as a parish church for the local population since its founding. Mission Santa Barbara is notable for its complex irrigation systems of aqueducts and reservoirs, and also the Lavanderia and fountain in front of the main building. 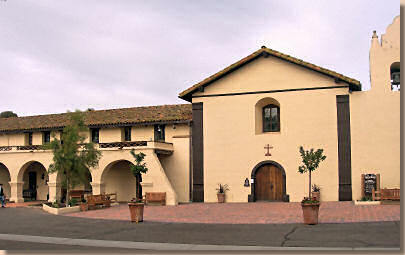 Mission Santa Ines, the 19th mission, is in the present-day city of Solvang, California and named after St. Agnes of Rome. It was founded in September 17, 1804 by Fr. Estevan Tapis as a midway point between Mission Santa Barbara ad Mission La Purisima Concepcion, and was designated to relieve overcrowding at those two missions and to serve the Indians living east of the Coast Range. Nowadays, its museum contains a notable collection of vestments, church records and missals, and the church displays some of the original decorations on a wall behind the altar. San Buenaventura Mission is the 9th mission founded by St. Junipero Serra in 1782. 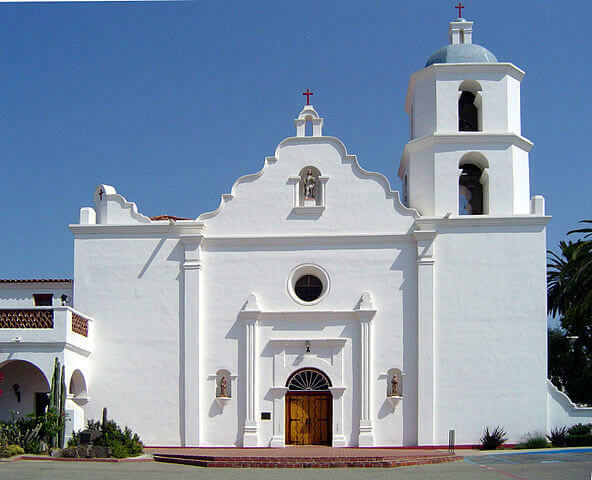 The mission is located in the historic downtown of Ventura and it was the last mission to be established by Fr. Serra. Restored in 1957, the facade exhibits an unusual triangular design which opens into the gardens. A museum exhibits artifacts that include two old wooden bells, the only ones of their type known in California. Situated three blocks from the ocean, the mission fronts on the main street of Ventura. Founded in 1771 by St. Junipero Serra, the 4th mission is San Gabriel Arcangel. Located nine miles east of downtown Los Angeles, the fortress-like structure of strong Moorish architectural influence was patterned after the cathedral at Cordova, Spain. With slender capped buttresses and six-belled wall campanario, its design is unique among the missions of the California chain. The City of Los Angeles is the second largest city in the United States after New York City and the most populous city in the state of California. 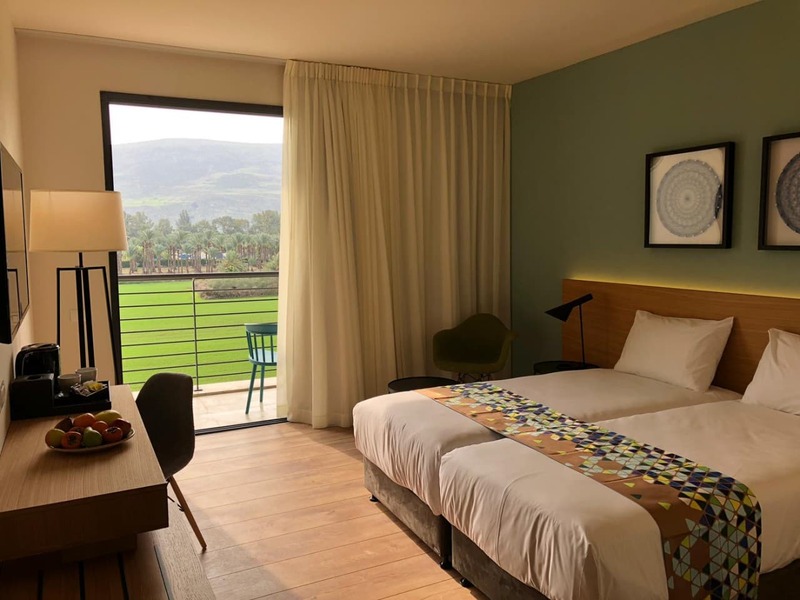 Situated in Southern California, Los Angeles is well known for its Mediterranean climate, ethnic diversity, sprawling metropolis, and as a major center of the American entertainment industry. 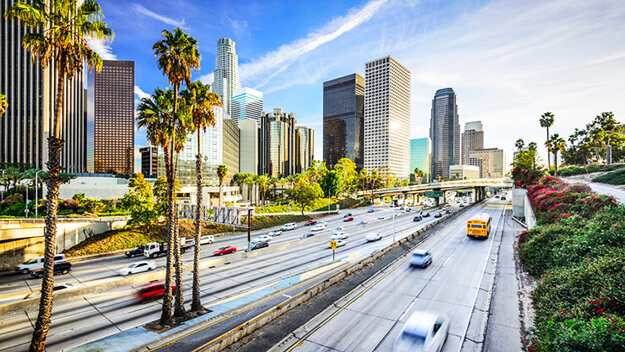 Los Angeles is one of the most substantial economic engines within the United States, with a diverse economy in a broad range of professional and cultural fields. Los Angeles is also famous as the home of Hollywood, a major center of the world entertainment industry. A global city, Los Angeles has been ranked 6th in the Global Cities Index and 9th in the Global Economic Power Index. Mission San Luis Rey de Francia is the 18th of the 21 California Mission Churches. 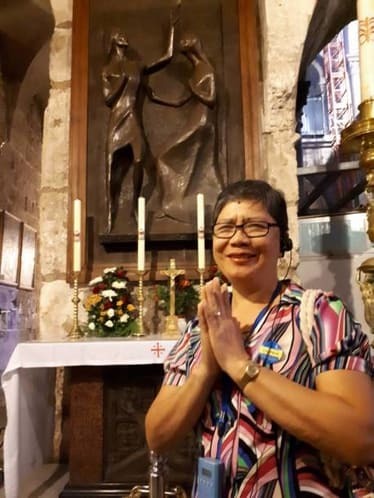 It was founded by Padre Fermin Lasuen on June 12, 1798. The Mission was named for King Louis IX of France. It’s nickname” was “King of the Missions.” Mission San Luis Rey structures and compound covered almost 950,400 acres, making it one of the largest of the missions, along with its surrounding agricultural land. Mission San Luis Rey de Francia is a National Historic Landmark for its pristine example of a Spanish mission church complex. San Diego city is the seat of San Diego County and is the economic center of the region. 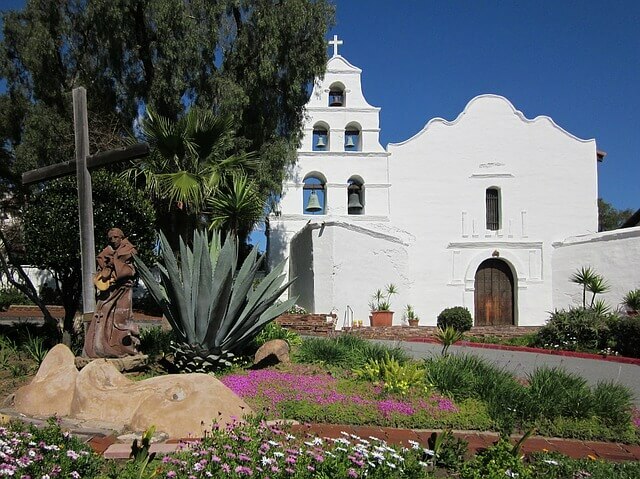 The Mission San Diego de Alcala, founded in 1769 formed the first European settlement in what is now California. 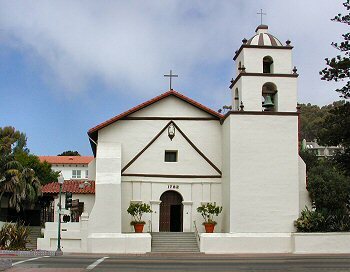 It was the first Franciscan mission founded by Spanish friar Junipero Serra on July 16, 1769. The mission was the site of the first Christian burial in Alta California. Fr. 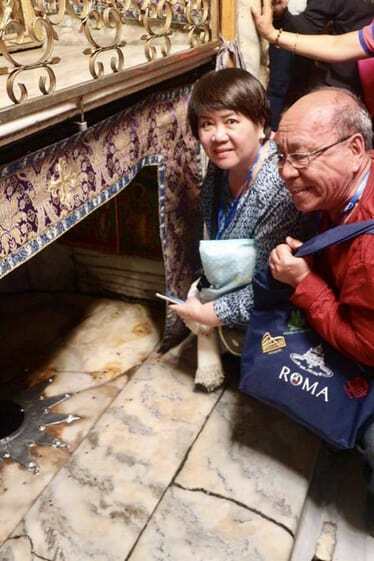 Luis Jayme, California’s first Christian martyr, lies entombed beneath the floor. The current church, built in the early 19th century, is the fifth to stand on this location. 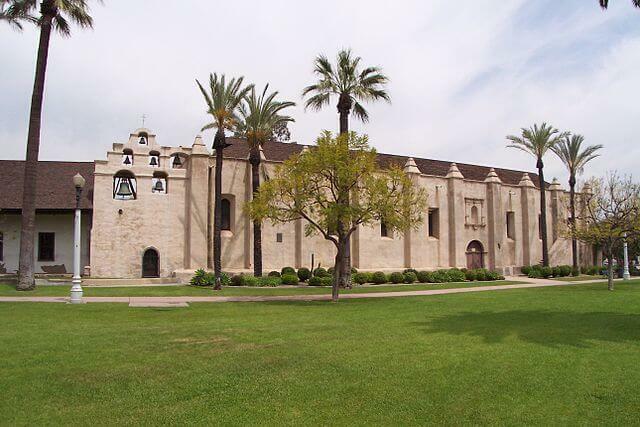 The Mission San Diego de Alcala is a National Historic Landmark. 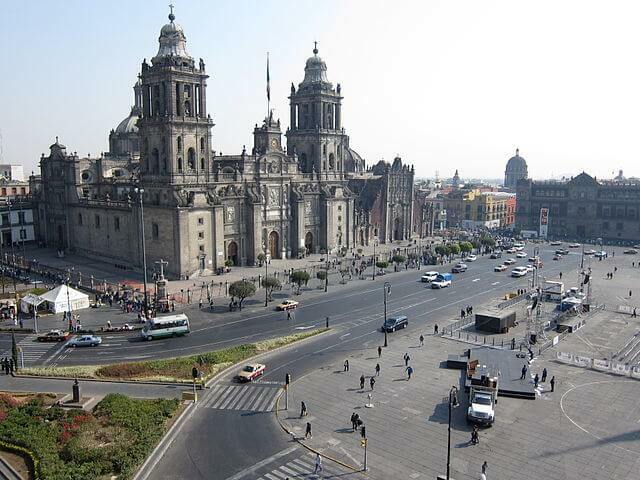 Mexico city is the capital of Mexico, and the largest city in the North America by population. Attractions in Mexico City focus less on lazing on the beach and more on exploring the culture and urban culture of Mexico. Downtown Mexico City has been an urban area since the pre-Columbian 12th century, and the city is filled with historical buildings and landmarks from every epoch since then. It is also known as the City of Palaces, because of the large number of stately buildings, especially in the Centro. In addition, Mexico is the city with the largest number of museums in the world (without taking into account art galleries), with New York as no. 2, London as no. 3 and Toronto as no. 4. The Basilica of Our Lady of Guadalupe (Spanish: Basílica de Nuestra Señora de Guadalupe) is a Roman Catholic church,basilica and National shrine of Mexico in the north of Mexico City. The shrine was built near the hill of Tepeyac where Our Lady of Guadalupe is believed to have appeared to Saint Juan Diego Cuauhtlatoatzin. 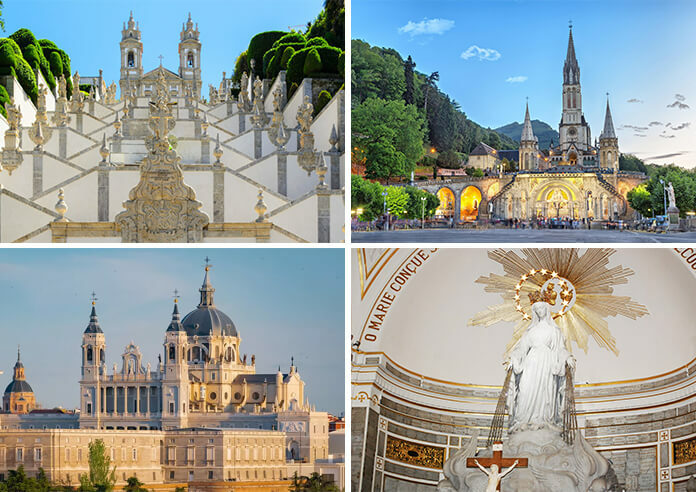 This site is also known as La Villa de Guadalupe or, in a more popular sense, simply La Villa, as it has several churches and related buildings. 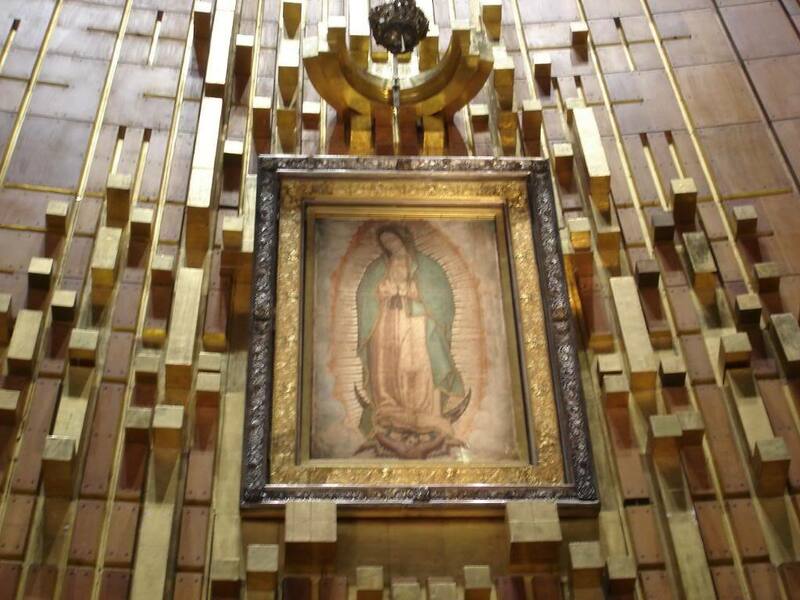 The new Basilica houses the original tilma (or cloak) of Juan Diego, which holds the image of Our Lady of Guadalupe. One of the most important pilgrimage sites of Catholicism, the basilica is visited by several million people every year, especially around 12 December, Our Lady of Guadalupe’s Feast day. Tlaxcala, officially Tlaxcala de Xicohtencatl is the capital city of the Mexican state of Tlaxcala. The city center is compact defined by grand government buildings, imposing churches and one of the country’s more stunning central plazas. Most of these buildings are centered on the main square called the Plaza de la Constitucion. In the center of this square is the Santa Cruz Fountain which was donated to the city by Philip IV in 1646. 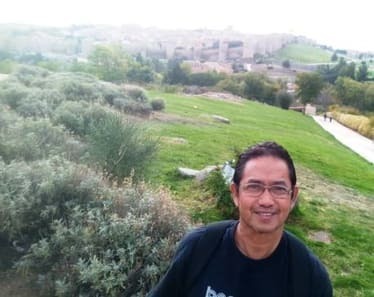 The next morning, Juan and the Franciscan monks from the monastery where he worked, found a burning tree that contained a statue of Our Lady. Today, the statue is kept in the Basilica at Ocotlan. Puebla is one of the oldest Mexican cities and any monumental ruins can be found throughout the state. 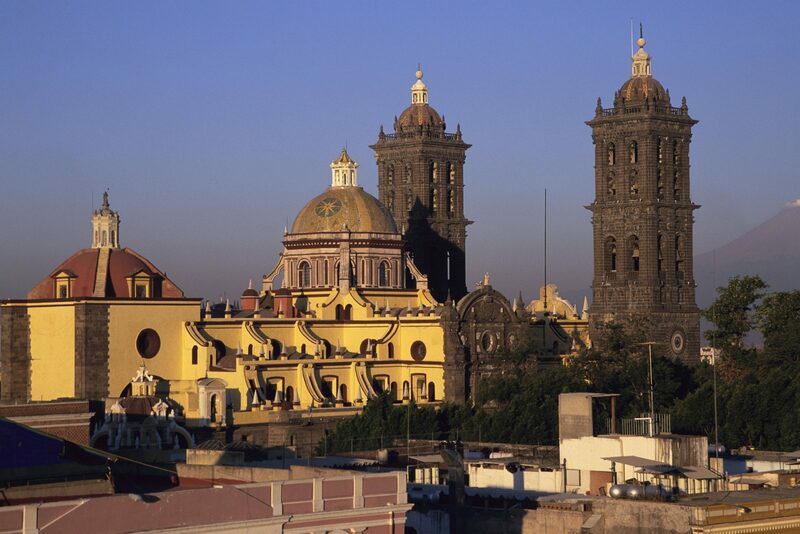 The historical center of Puebla is UNESCO World Heritage site. Puebla is also known for its Talavera ceramics, which are crafted using the same techniques introduced by the Spaniards in the 16th century. Puebla is likewise the home of Mole Poblano, a traditional Mexican dish. Puebla is sometimes called City of Street Lights due to the numerous decorative street lamps crafted by the French. 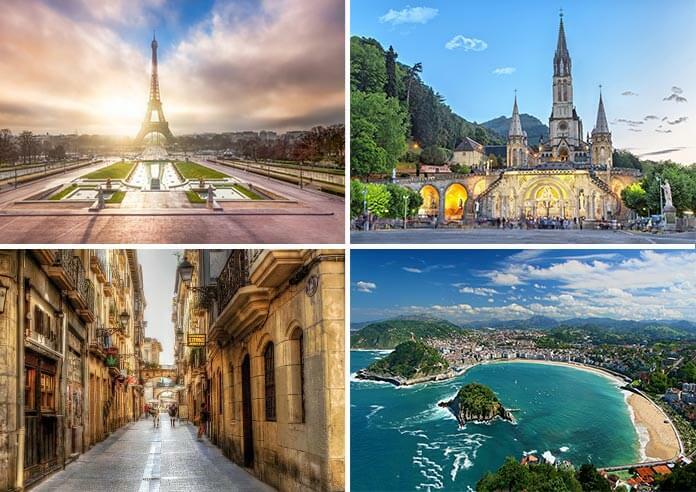 The French legacy can also be seen in the city’s elaborate wrought iron balconies and the fine crystal chandeliers adorning historic buildings. 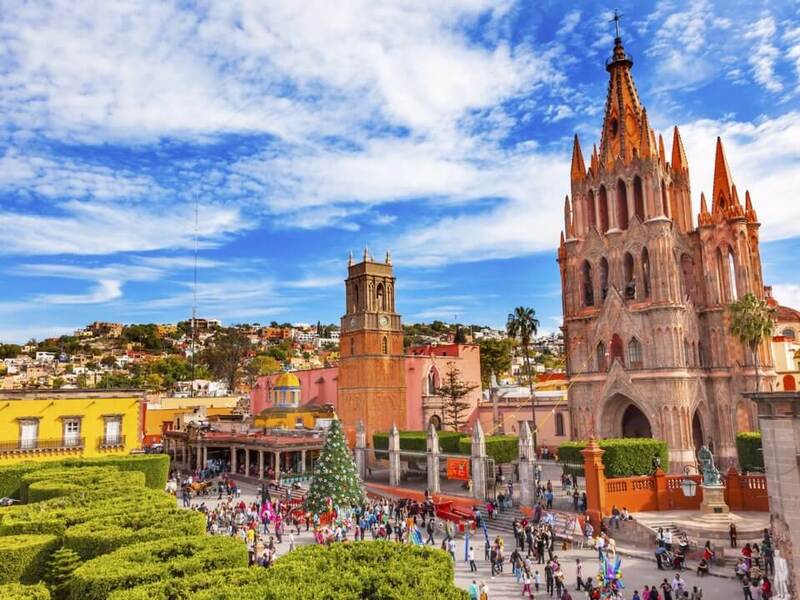 San Miguel de Allende is located 150 miles north of Mexico City. It is a UNESCO World Heritage Site and a magnet for weekenders and expats due to its colonial Spanish architecture. 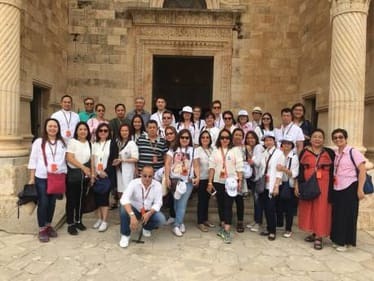 Visitors enjoy walking alongside the quaint cobblestone streets, browsing the shops for artisanal crafts, hot springs, horses, balloon rides, organic restaurants, and inventive chefs working in all types of cuisines. When you visit San Miguel, you can and take part in any number of festivals that make this picturesque town a great year-round destination. The Basilica of Our Lady of Guadalupe in Mexico commemorates the Blessed Mother’s appearance to Juan Diego and honors her request that a Shrine be built in her honor. Embark on a pilgrimage to the miraculous image of Our Lady of Guadalupe stamped on the cloak of Juan Diego since 1531. Join a 14-day Pilgrimage to California’s Mission Churches with the Shrine of Our Lady of Guadalupe with Fr. 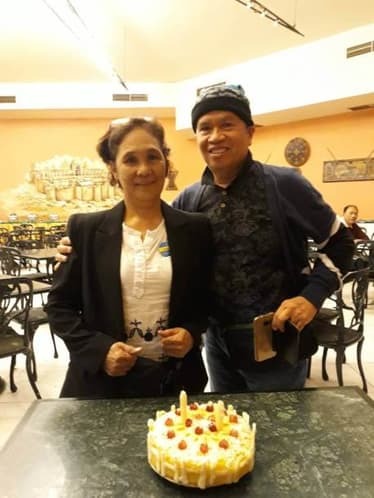 Jerry Orbos, SVD leaving on October 22, 2019. 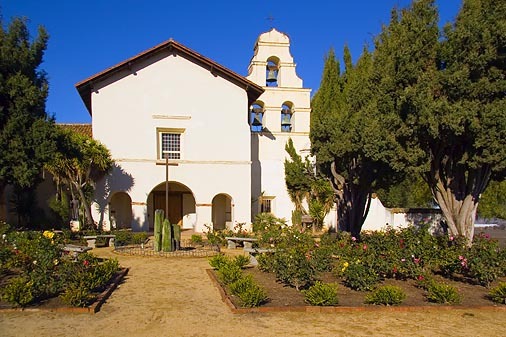 En route to Los Angeles, stop in Ventura to visit the San Buenaventura Mission. This was the final mission to be built during the lifetime of St. Junipero Serra. It is the only mission in California that contains wooden bells. Arriving in Los Angeles, visit the Mission San Gabriel Archangel. Founded by St. Junipero Serra, its fortress-like structure distinguishes it from any other mission. Take a flight from Los Angeles to Mexico City to continue your pilgrimage. The highlight of this pilgrimage is a visit to the Shrine of Our Lady of Guadalupe in Mexico City, the patroness of the Americas. Our Lady of Guadalupe is the title given to the Blessed Virgin Mary after she appeared to Juan Diego in the village of Guadalupe by Tepeyac Hill in Mexico. This encounter brought about the miracle: the image of the Blessed Virgin Mary imprinted on the tilma (cloak) of Juan Diego. Celebrate Mass at the Basilica of Our Lady of Guadalupe. 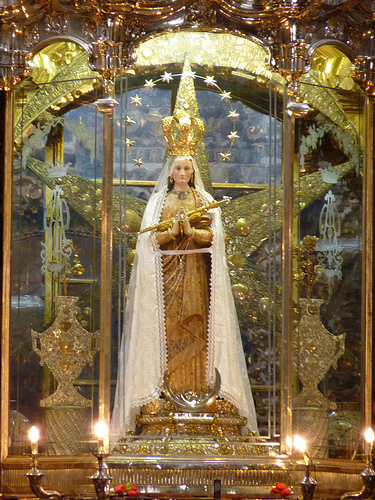 See the original sacrosanct tilma enshrined and offer your prayers before her miraculous image. The Shrine of Guadalupe is considered the holiest place in the Western Hemisphere. Join a Pilgrimage to California’s Mission Churches with the Shrine of Our Lady of Guadalupe with Fr. 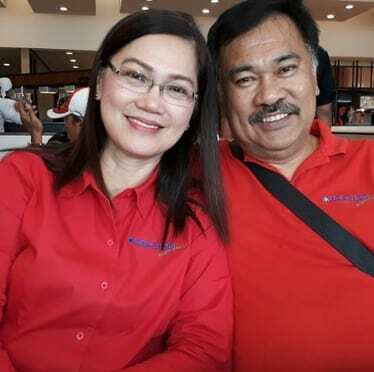 Jerry Orbos, SVD leaving on October 22, 2019. May this pilgrimage bring each pilgrim closer to Mary, who, like a Mother, looks upon her children with tenderness, with mercy and with love. 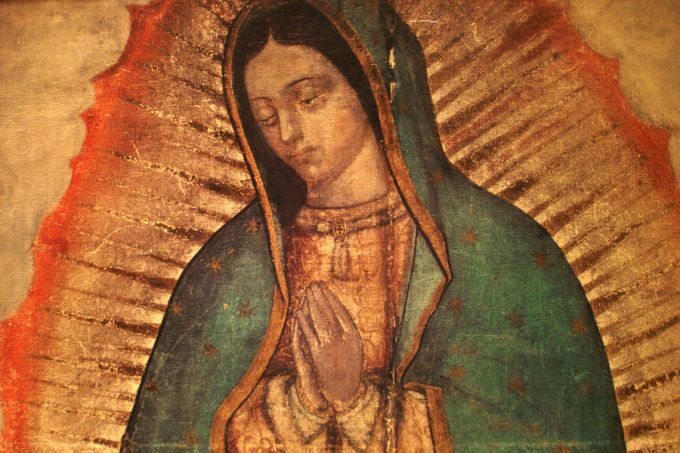 To gaze at the image of Our Lady of Guadalupe on Juan Diego’s tilma will bring tears to your eyes. One of the most beautiful churches in Mexico enshrines the statue of the miraculous Our Lady of Ocotlan. Original guilded reredos and colourful wall paintings, which are significant displays of early California art at the San Franciso de Asis Mission Church in San Francisco. Humbled by the faith of the devotees who walk on their knees and fervently pray for their intentions at the Shrine of Our Lady of Guadalupe. Authentic Mexican cuisine made up of fresh local ingredients. See the cell where St. Junipero Serra lived and died on your visit to Mission Carmel. This was also his favourite Mission and chose it as his headquarters. Ride the “walkalator” underneath the altar of the Basilica of Our Lady of Guadalupe to get a closer look of the tilma bearing the image of Our Lady of Guadalupe. Drink from the healing well of the Basilica of Our Lady of Ocotlan where Our Lady instructed the well to be dug, and all who drank from it were cured. Delight in the stunning coastal views in one of the most scenic drives in the world, on your travel along the Pacific Coast from San Francisco to Los Angeles, California. Teotihuacan, a UNESCO World Heritage site, was built between the 1st and 7th centuries AD. It is one of the most noted archaeological attractions in Mexico and the site of its most ancient civilizations. 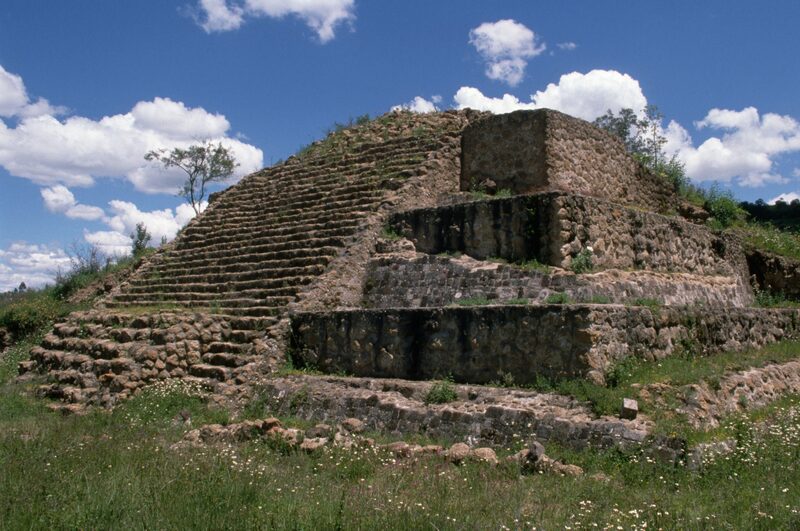 Here you will find the Pyramids of the Sun and Moon, Temple of Quetzalcoatl, and other ancient ruins. PHOTOGRAPH THAT APPEARED ON YOUR LAST VISA. showing the need to transit the United States. case shall it be later than 30 days before departure date. 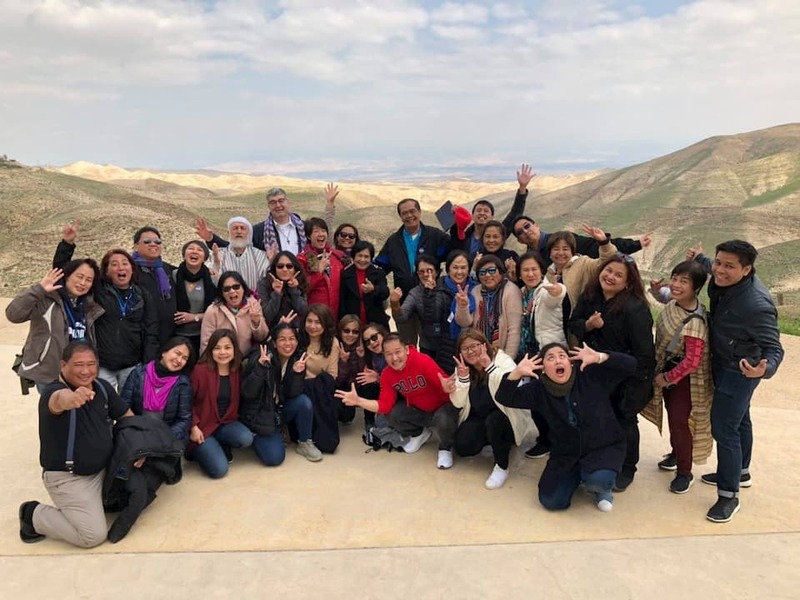 > 20 days prior to departure date – Full tour cost will be forfeited. > US$ 500.00 Admin Fee for any visa denial. the itinerary terms and conditions. passenger acknowledges and accepts the foregoing conditions.